Amyx Awards – Amyx, Inc.
Amyx won Washington Post Top Workplaces in the DC metro area in July 2018. Selection is based solely on employee feedback gathered through an anonymous third-party survey, which measured several aspects of workplace culture, including alignment, execution, and connection. This year’s 150 honorees include government contractors, law firms, nonprofits, schools, and businesses. Amyx was selected as a Finalist for the 2017 Moxie Awards. The Moxie awards recognize those organizations in the National Capital Region that have demonstrated boldness and innovation as an integral part of their growth strategy. These outstanding organizations not only help make the DC metro area a great place to do business, but also an incredible place to live, thrive and play. Amyx, is proud to enter the Fast 50 at Number 39, and shares the list with multiple strategic partners, and as one of 26 newcomers to the list, shows the importance of being at the forefront of innovation and emerging technologies. Additionally, Amyx ranks amongst the top 5 highest companies in terms of revenue. Amyx has once again be named to the Inc. 5000, an exclusive ranking of the nation’s fastest-growing private companies. The list represents the most comprehensive look at the most important segment of the economy—America’s independent-minded entrepreneurs. 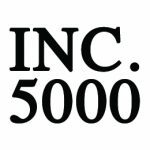 The Inc. 5000 are responsible for creating more than 1 million jobs since their founding, making the list perhaps the best example of the impact private, fast-growing companies can have on the economy. 2007, 2008, 2010, 2011, 2012 and 2013 Top Small Business in Virginia / Top Small Business in the U.S.
Amyx, Inc. has been ranked as one of the Top Small Businesses in Virginia, one of the Top Small Businesses in the United States, or one of the Top 100 Privately Held Businesses in Virginia by DiversityBusiness.com over the last few years. In 2013, Amyx was selected as a 2013 “Top Business” Recipient as one of the Top 100 Privately-held Businesses in Virginia. The awarded companies represent the most successful entrepreneurs across the United States and gives significant exposure with Fortune 500 companies, Government Agencies and Colleges/Universities looking to do business with Small Businesses. Amyx, Inc. was selected as a Future 50 winner for 2007 by SmartCEO. The awarded companies represent the best and brightest entrepreneurs in the Greater Washington DC area. These companies are the frontline generals in the economic expansion that continues throughout the region. These are companies portray a local economy that is steady, strong and anchored firmly to the contracting opportunities of the Federal Government. The Virginia Technology Fast 50 annually recognizes the fastest-growing companies within the geographic boundaries of Virginia. The awards are based on percentage revenue growth over a five-year period. To qualify, companies must own proprietary intellectual property or proprietary technology that contributes to a significant portion of their operating revenues. Nominees can be public or private, and encompass all technology, media, telecommunications and life science industry sectors. Amyx, Inc. ranked 294th on Deloitte’s Technology Fast 500™, a ranking of the 500 fastest growing technology, media, telecommunications, life sciences and energy tech companies in North America. Amyx, Inc. ranked as one of Washington Technology’s 50 fastest growing companies! 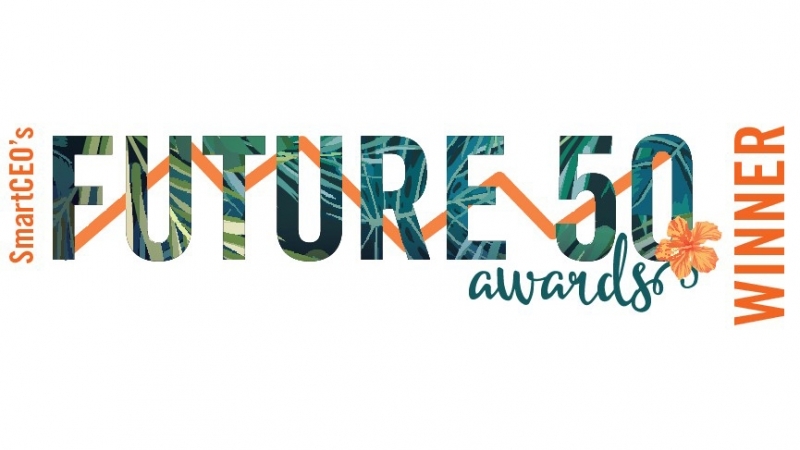 The 16-year-old Washington Technology Fast 50 program recognizes a dynamic group of growing small businesses with demonstrated success in supporting federal, state, and local customers. Amyx was selected after exhibiting a remarkable compound annual growth rate of 94.15% – a direct result of our high-quality, value-add professional services. 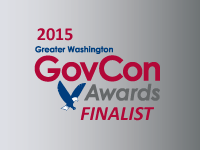 Amyx, Inc. of Reston, Virginia has been selected as a finalist for the Greater Washington Government Contractor Award. The awards are presented annually to individuals and businesses in the Government contracting sector that denote leadership, innovation, and commitment to excellence. Amyx’s CEO and President, Satya Akula, is “honored to have been selected for this prestigious award. Our selection for the third time in four years, is a testament to the commitment that our team has made to both our clients and community. We are very proud to be considered, amongst a great pool of finalists.” This year marks the 13th Anuual GovCon award, where finalists are chosen by an independent selection committee from a competitive pool of applicants.